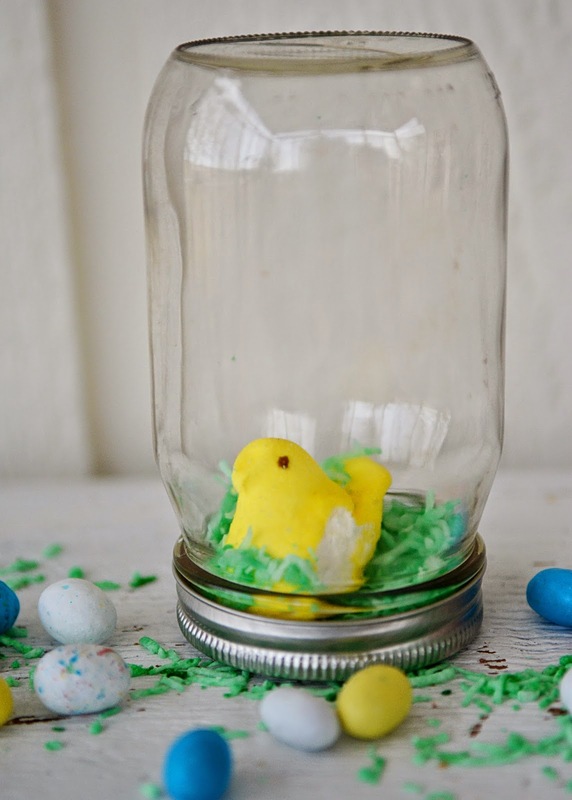 Our final craft in the Peeps series are these simple to make Peeps in a Jar. These would look great on the table at Easter. 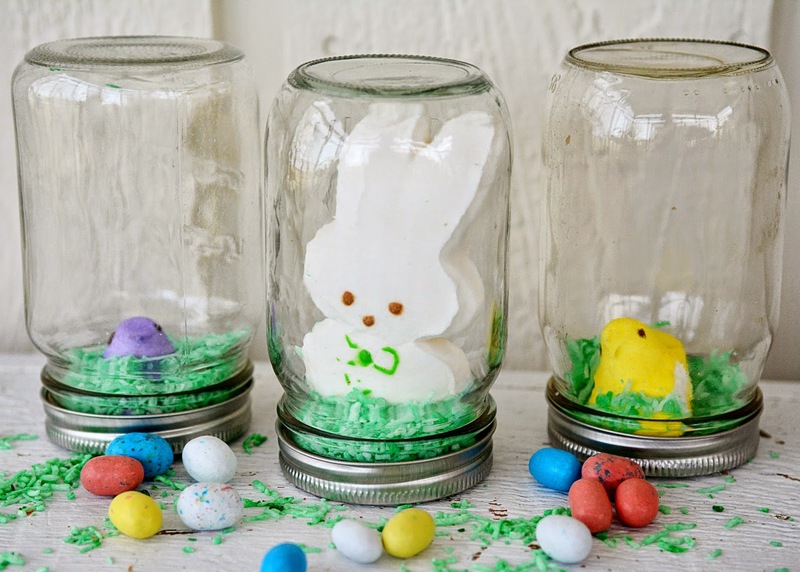 Fold a small piece of paper several times and glue to a Ball jar lid. 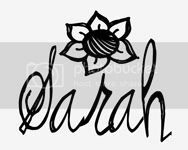 Then glue a Peep to the piece of paper. Add 1 1/2 Tablespoons of coconut to a Ziploc bag and a few drops of food coloring. You can always add more if needed. Then shake until the coconut is coated. 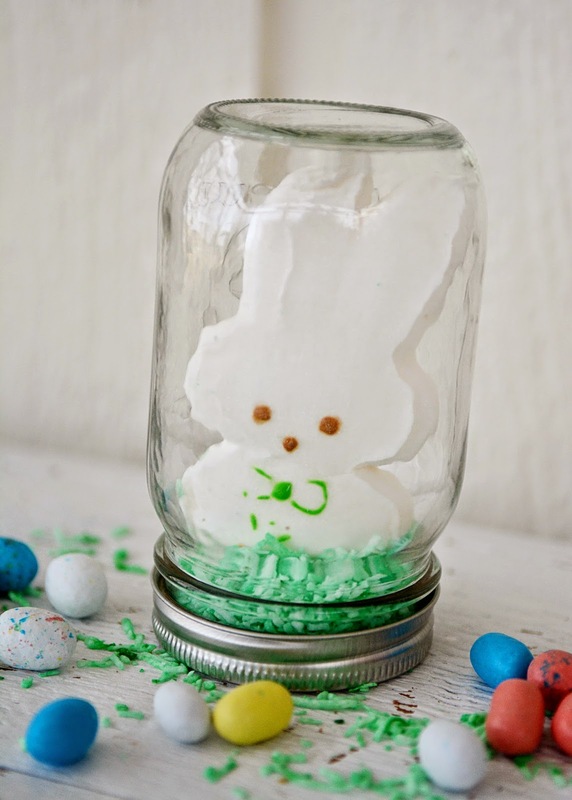 Once the hot glue dries add about 1 1/2 Tablespoons of green shredded coconut to the jar. Attach the lid and flip over. Note: For the bunny, you don't have to put a piece of paper on the bottom. To see craft #1, click here. To see craft #2, click here. To see craft #3, click here. 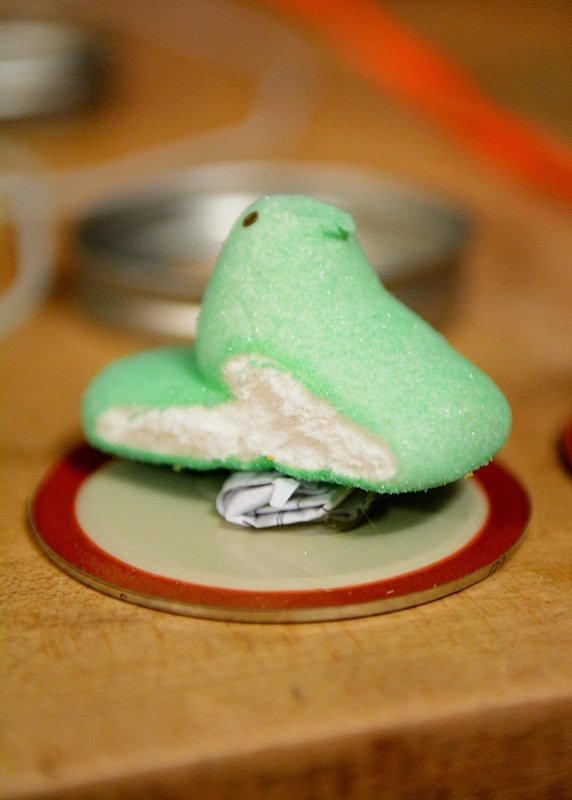 While the nice people at Peeps and Just Born Quality Confections did provide me with Peeps to craft with, all opinions and photos are my own.